HIV is a virus that attacks the body’s immune system. HIV kills CD4 cells, which help the immune system fight infections. HIV can slowly destroy the immune system and cause AIDS. The good news is that medicines can control the virus. This allows the number of CD4 cells to rise and the immune system to recover. The CD4 test measures the number of CD4 cells in your blood. The viral load test measures the amount of HIV in your blood. When you start HIV treatment, you need both tests. But if your treatment is working well, you usually need the CD4 count less often, if at all. Here’s why. In the first year or two of treatment you need both tests. If your medicines are working, your viral load goes down. The aim of HIV treatment is to reduce your viral load to an undetectable level and keep it there. That means it is so low that standard lab tests can’t measure it. When people take HIV medicines as prescribed, usually their viral load drops to these low levels within six months. As your viral load goes down, your CD4 count should go up. Your doctor should do a CD4 test every three to six months during the first year or two of treatment. In the long term, you may only need the viral load test. As long as your viral load stays undetectable, frequent CD4 counts aren’t useful. If your CD4 level stays at 300 to 500 cells per microliter (cells/μL), you should get the CD4 test only once a year. If your CD4 level is over 500 cells/μL, you shouldn’t need more CD4 tests, unless your condition changes. You usually get a viral load test 2 to 8 weeks after you start or change treatment. Usually you get tested every three to four months after that. If your viral load stays very low for more than two years, you may only have a viral load test every six months. Unneeded CD4 tests can cause problems. Your CD4 count can vary a lot—depending on the time of day, the lab, and whether you have an infection, such as the flu. The count can vary due to exercise, lack of sleep, or smoking. This is not important if your viral load stays undetectable. But it can still cause worry. It can lead to more unneeded tests. It can even lead to inappropriate changes in treatment. The CD4 tests may be a waste of money. When test results aren’t helpful, it’s money wasted. Some doctors order more complicated CD4 tests that look at other types of cells also. That costs extra and provides more information that may not be needed. When are CD4 tests needed? Your HIV is not being treated. You are being treated, but your viral load has not become undetectable. You are being treated, but your CD4 count is not usually below 300 cells/μL. You develop a problem that could be related to HIV, such as oral thrush, night sweats, or weight loss. You’re taking a medicine that can reduce CD4 cells, such as long-term corticosteroids or certain cancer treatments. © 2016 Consumer Reports. 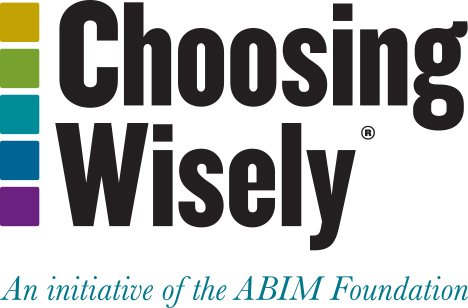 Developed in cooperation with the HIV Medicine Association for Choosing Wisely, a project of the ABIM Foundation.